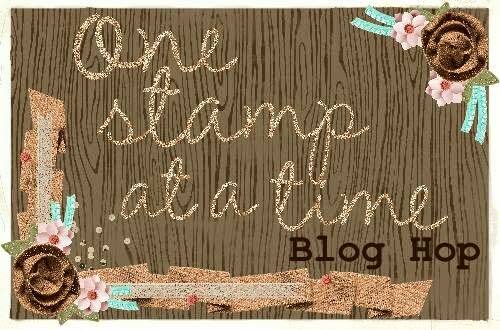 Thanks for joining me for the Spring Has Sprung Blog Hop from the great group at One Stamp At A Time (OSAT). Don’t forget to scroll to the bottom for a complete supply list, and to click the next button to check out Jeanna‘s creations. So lets jump right in! 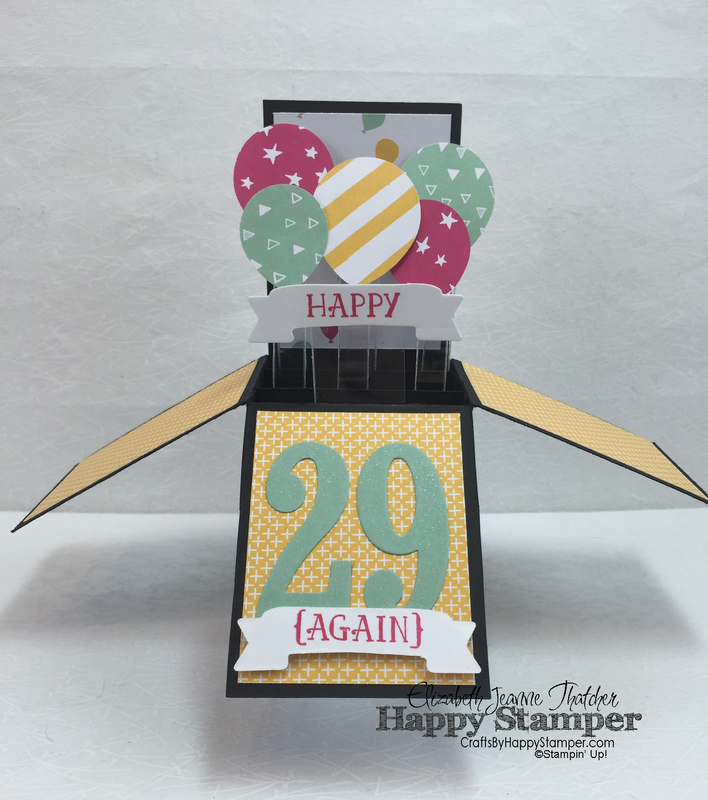 Today’s card is an interactive Card-in-a-box. It lays flat for mailing, but pops open when the receiver opens it. 🙂 This card is one of the cards I’m featuring in this month’s Technique club. 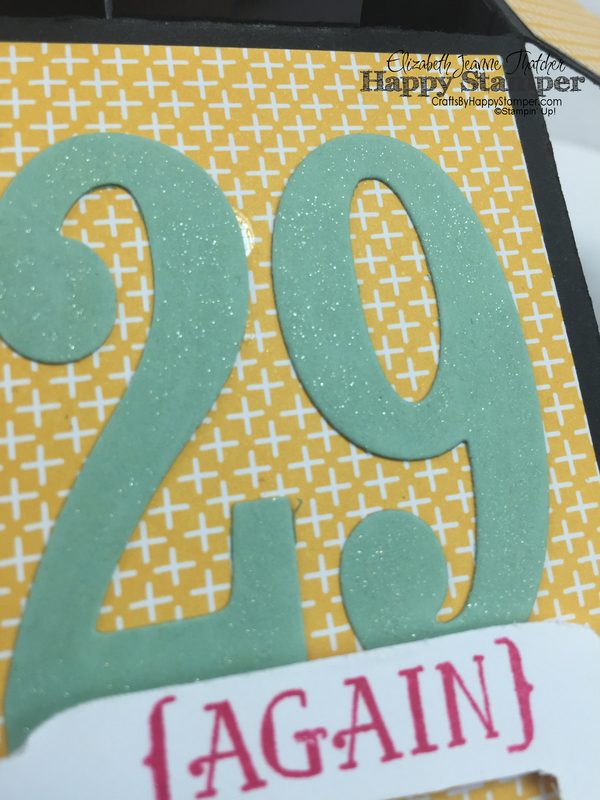 I couldn’t resist using my Wink of Stella Clear glitter brush pen to add some sparkle to my 29. And don’t forget that it folds flat for mailing! This card does require a 70 cent postage stamp though because it weighs over one ounce. Now, let’s take a look at my project! I decided to make a matching Winged Gift Box. I just love these colors and this style. It looks so elegant. I of course added my Clear Wink of Stella to the flowers and leaves. It opens at a diagonal. 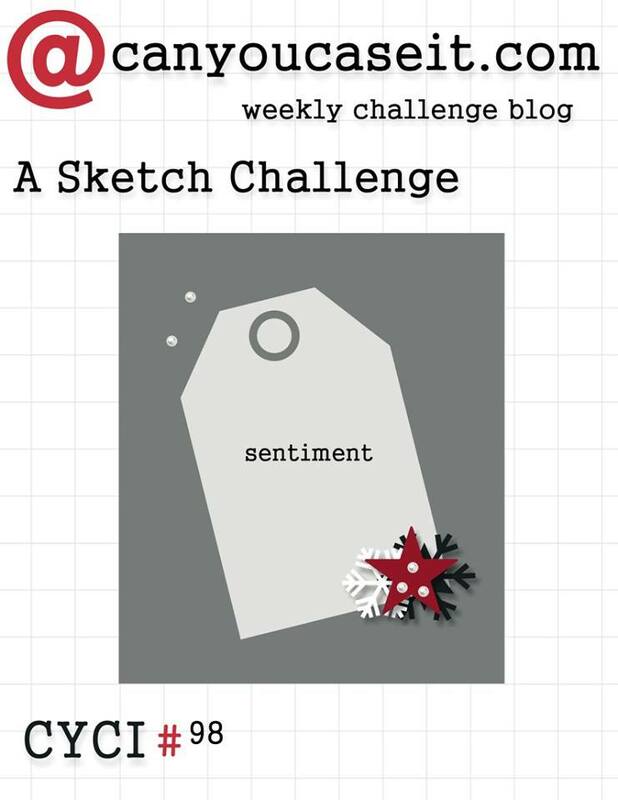 Don’t forget to click Next button to get to Jeanna‘s blog. Scroll to the bottom for special offers and a complete supply list. I hope you enjoyed my card and project! Please subscribe if you haven’t already. Check out my Product Share page, so you can have it all without spending so much money! 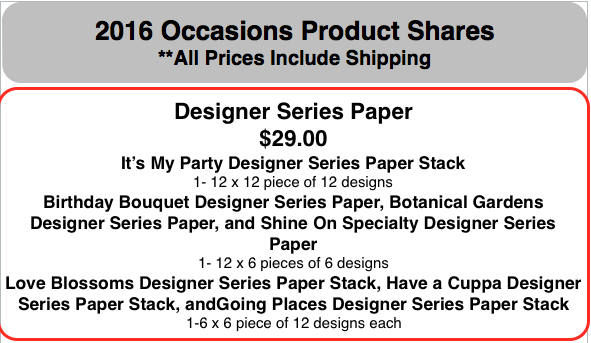 Order a Product Share so that you can have a bit of everything for a fraction of the cost! My stamp and technique clubs are accepting new members! Sign up now! Check out the new page above! Ways To Save! Feel free to follow me on my facebook page Happy Stamper if you’d like to and YouTube.I’d love to know what you think with a comment! Do you want a discount on your craft purchases or to make a little money from your hobby?!? NEW Demonstrator Special! Then Join My Team! Check out the details on the page above! FREE tutorial with any $50+ purchase! 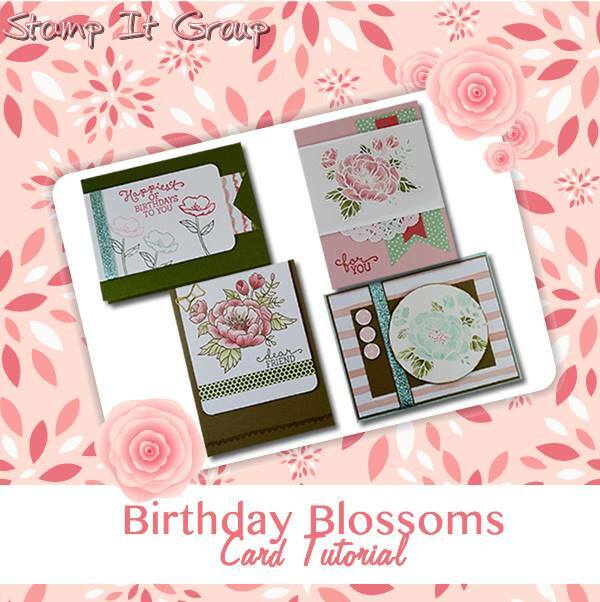 Birthday Blooms Card Tutorial. CUTE box! I may have to make one. I love all kinds of boxes and this is a new one for me. Thanks for your beautiful work. Thanks Diane! Welcome back to the team too! 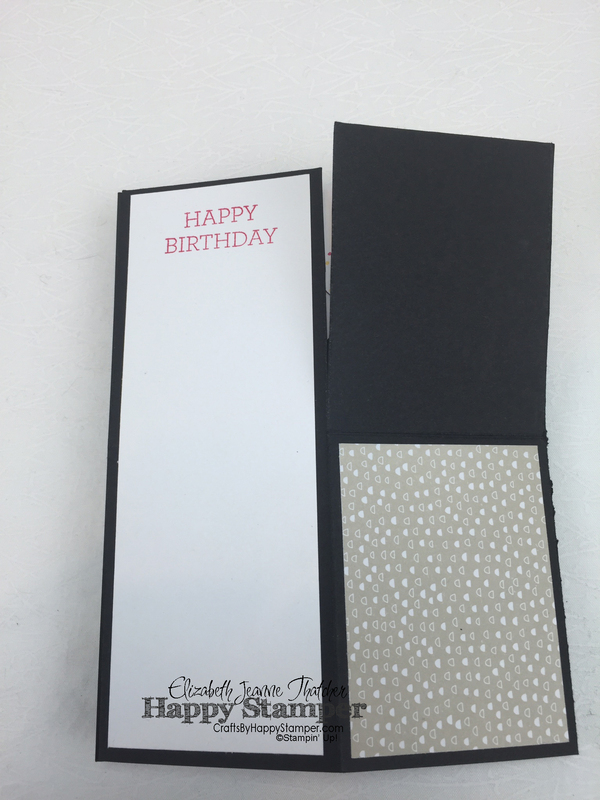 First off, your birthday in a box card is a project in itself…such perfection in your details always. But the box…oh the box… that is beautiful – I cannot wait to case it! What a beautiful gift set. Your details are amazing. Love how the balloons look like they are FLOATING out of the box! Thanks for sharing the instructions! Your projects are always so amazing, over the top and I love that you do videos for them. Thanks for all your help and patience in trying to fix my blog as well. 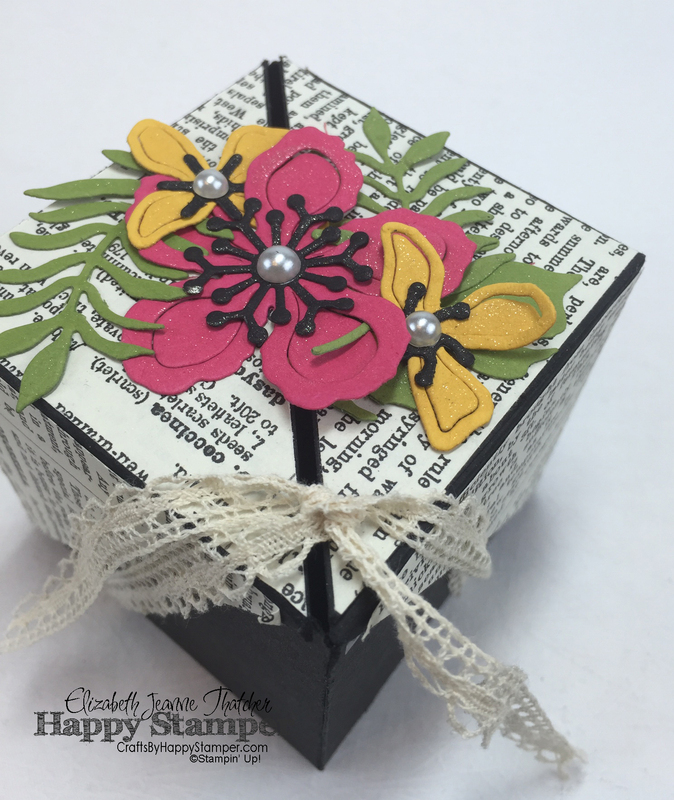 Wow Elizabeth, your card is gorgeous and your gift box is absolutely stunning! Beautiful work, I definitely am going to case that winged gift box!! Thanks for sharing! Love your card in a box. Would you be willing to share you’re measurements? I’ve just watched a few you-tube videos to see how to make one and “I think I can” do it. The videos all seemed to use different measurements and I realize it just depends on the size of the card. I just purchased the large number framelits and would love to incorporate them like you did. 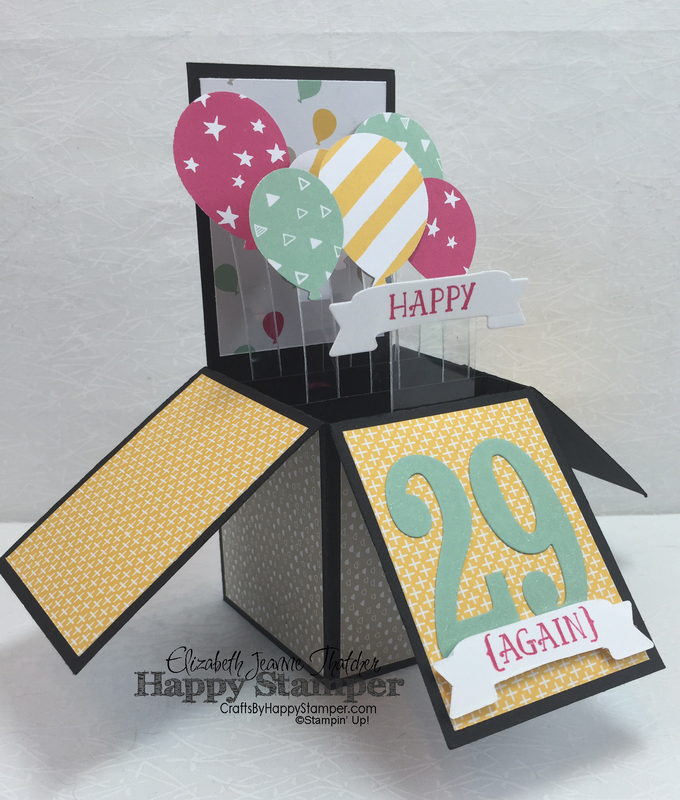 I’m hosting a club class this Sunday and 2 of the cards we will be doing are using the balloon stamp set so this would be a perfect fit. Wow, that winged gift box and interactive card are pretty amazing, I can see a lot of work went into this. I’m going to have to CASE your card in the box! Love the wink of stella on the flowers in the project! CUTE – CUTE – CUTE!!!! I need to make one of those one of these days! 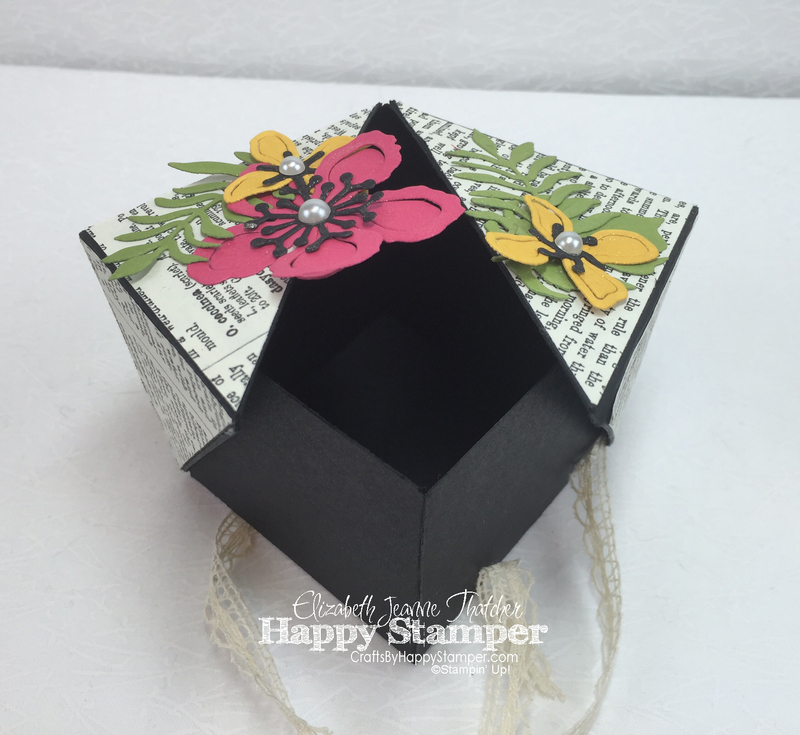 Your winged gift box is gorgeous! Your card-in-a-box is smashing!!! TFS! Love your goodies this month! I may need to try out your box!